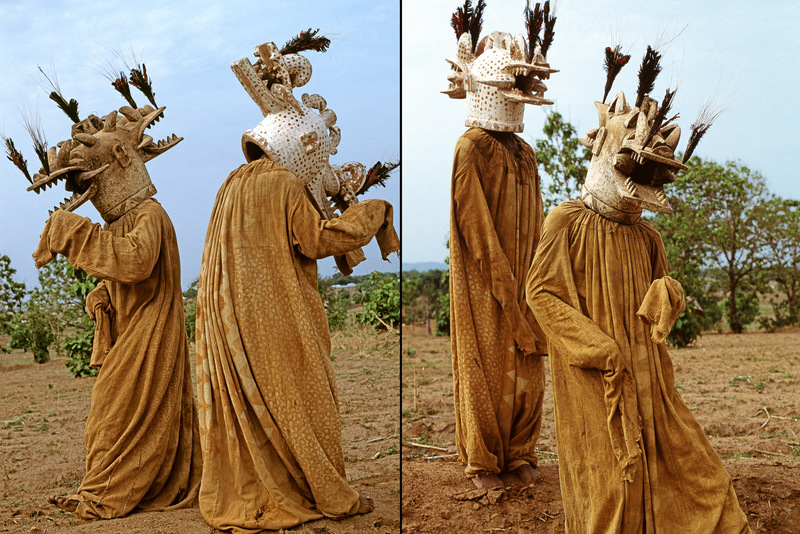 Janus-headed Wambele masks roam about a burial ground. They are complex hybrids, incorporating features borrowed from many creatures such as the tusks of warthogs and teeth from crocodiles. Decorated with feathers and porcupine-quill clusters, the Wambele appear at Senufo funerary rituals to chase away any lingering spirits that could bring misfortune to the village nearby.